It's newsletter time again! Well done and thank you to the student council and their mentors for producing a wonderful record of their activities this year. The council have used their remaining funds (with some help from the board of management!) to purchase a giant Connect 4 game for the yard. It should arrive Thursday. 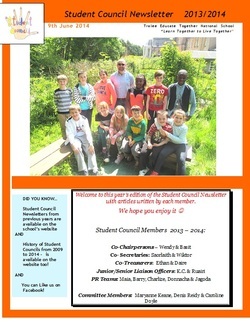 2014-2016 Student Council with Cllr. 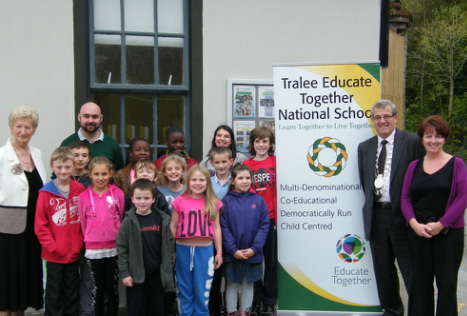 Jim FInucane, Mayor of Tralee Municipal District, Kerry Co. Council. Saorlaith, Marek, Bartosz, William, KC, Nimotalai, Zara, Jagoda, Vanesa, Barry, Ruairi, Jack , Kacper, Maia. Front Row L-R: Kyle, Bríd and Caoimhe. 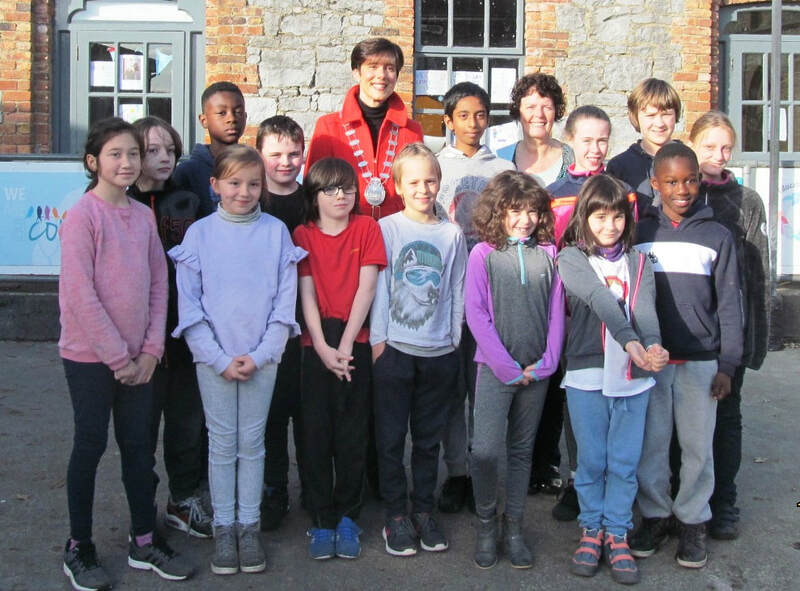 Second Row L-R: : Siobhan, Wendy, Jagoda, Rory, Basit and Jack. Third Row L-R: Jessica, Sherraya, Nikolas, Adrian and Nicolas. Back Row L-R: Denis Reidy, Cllr Johnie Wall (Mayor of Tralee) and Maryanne Keane. Former Student Council 2010-2011 visiting Tralee Town Hall. One of the many meetings that Student Council members have attended since 2004.